Introducing our exclusive, sophisticated Ukrainian Hair Extensions. Ukrainian hair will never dry, tangle or lose it’s sheen. It always remains silky soft and smooth to touch. Simply the best hair extensions available in Sydney and Australia. 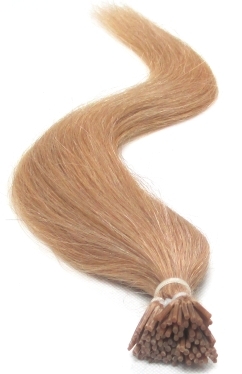 We are proud to introduce our exclusive, sophisticated range of Ukrainian Remy Hair Extensions. Ukrainian hair will never dry, tangle or lose it’s sheen. It always remains smooth and soft. Simply the best hair extensions available in Sydney and Australia. What Is So Special About The Ukrainian Hair Extensions? It has never been processed and is 100% premium hair. This hair has never been put through harsh chemicals, all the cuticles are intact, running in the same direction. The greatest advantage is you can style it like it’s your own. You can dye, perm or bleach the hair to your colour of choice, you can comb, brush and curl with a curling iron or straighten with a flat iron making them the best value extensions money can buy. Please note our hair extension colour chart is meant to be a guide only, we try to work off the standard colours. If in doubt you could send us a sample of your hair by mail and we will match it perfectly for you. Drop in and say hello, Sirens is located at Shop 19/23 Norton St Leichhardt NSW 2040 Australia.